Ready to order some pumpkin spice Shakeology to make your life easier and more delicious?? 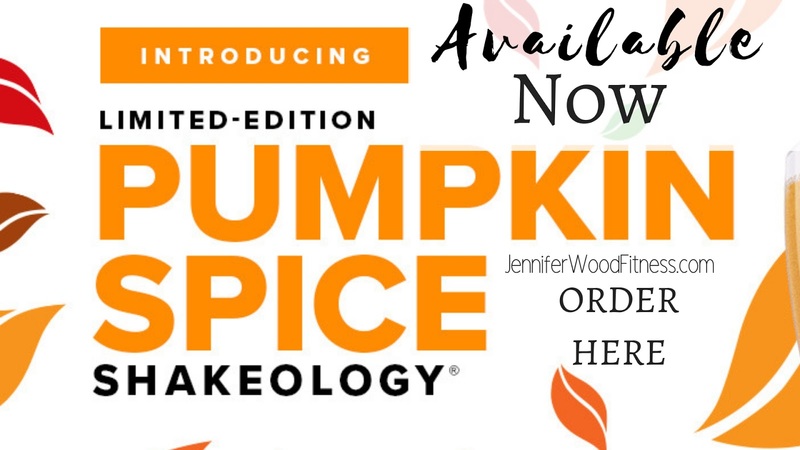 Click here to order Pumpkin Spice Shakeology. This is a limited edition flavor and when it's gone its gone. We have never launched a special edition flavor before! If you want to order some, make sure to get it early Monday. Want to learn more about this flavor? Click here, or email me at jenniferwoodfitness@gmail.com with questions, or follow me on Instagram, or Facebook. Sign up to be my free customer here! I provide free coaching with every order. I run monthly support groups online for customers at no additional charge if you would like support with nutrition, fitness, motivation or even just some encouragement! Want to save 25%! Click here to become a coach. No quotas, no inventory, no requirements. You just pay $16 a month and save 25% on all your orders. Need quick guidance on how to sign up and order your Shakeology at a discount, just send me a message on Instagram, or Facebook to reach me the fastest. Active duty military and spouses, retired military veterans, and honorably discharged veterans can get a 25% discount without paying the monthly coach fees, and the sign up fee is waived. Contact me to set this up! 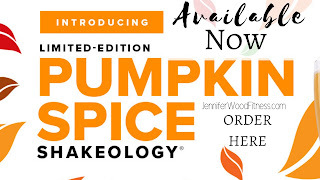 Pumpkin Spice Shakeology will be available in Canada on October 11th. Join my free fitness and nutrition page for recipes, tips, motivation and more.